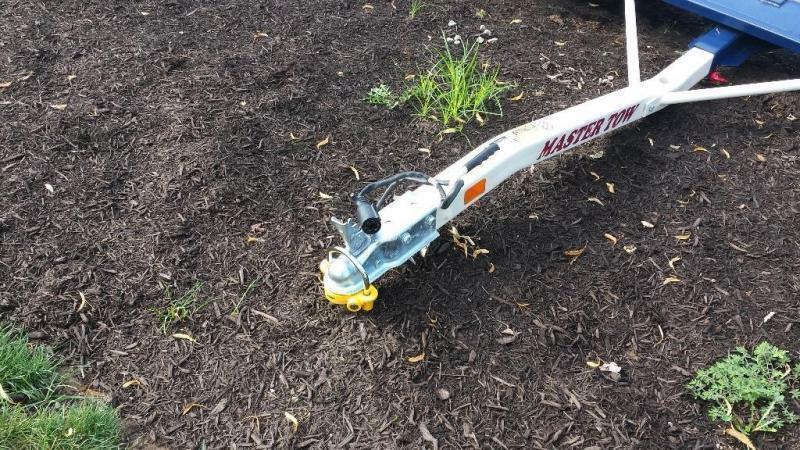 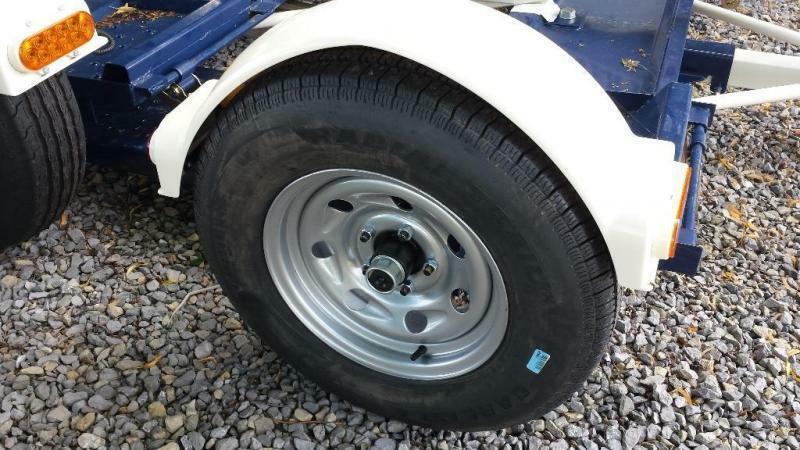 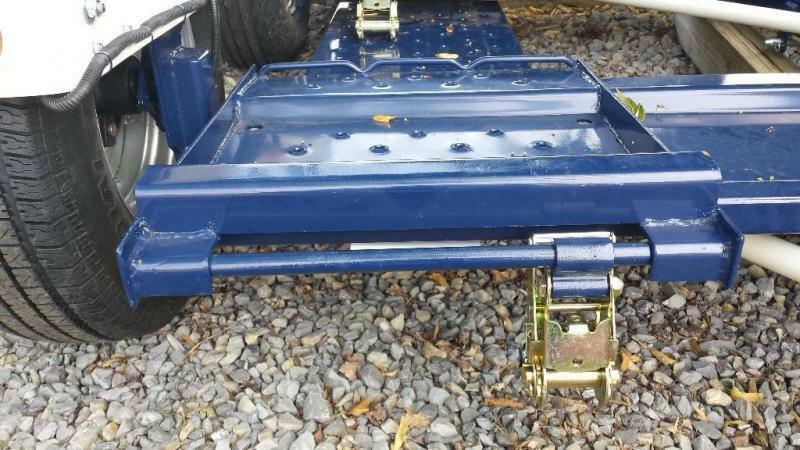 - Towed vehicle tread width 40" - 77"
- We use easy-lube hubs which ease the repacking of wheel bearings by eliminating the need for dis-assembly, and are backed by a 1-year warranty. 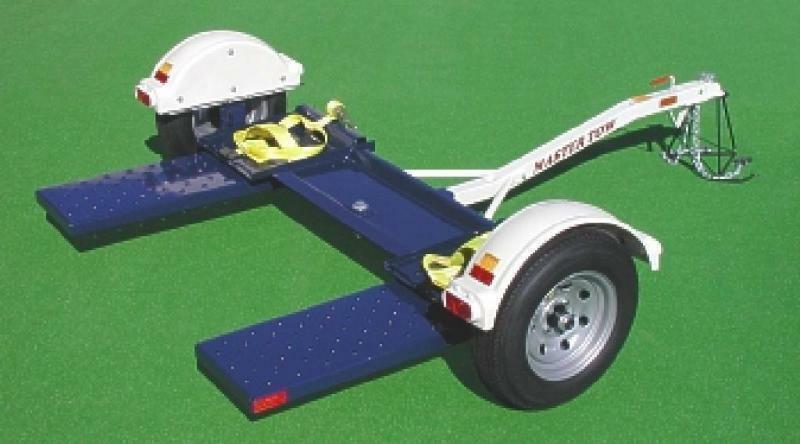 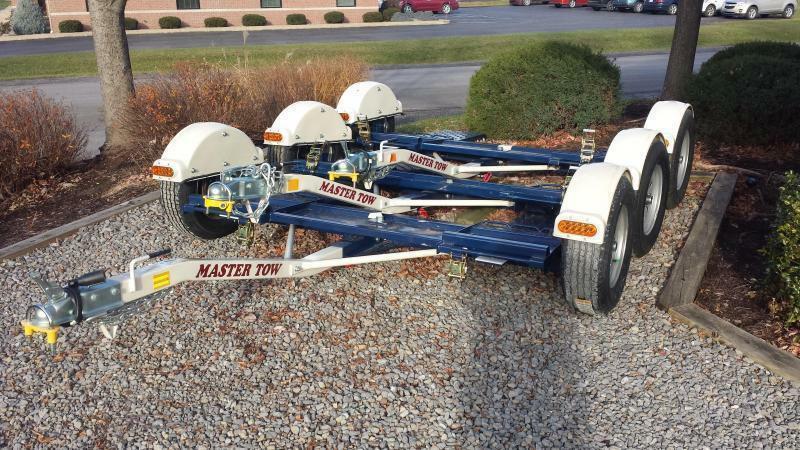 - All of our dollies are equipped with new tires and wheels that are computer balanced to assure a smooth ride at all towing speeds. 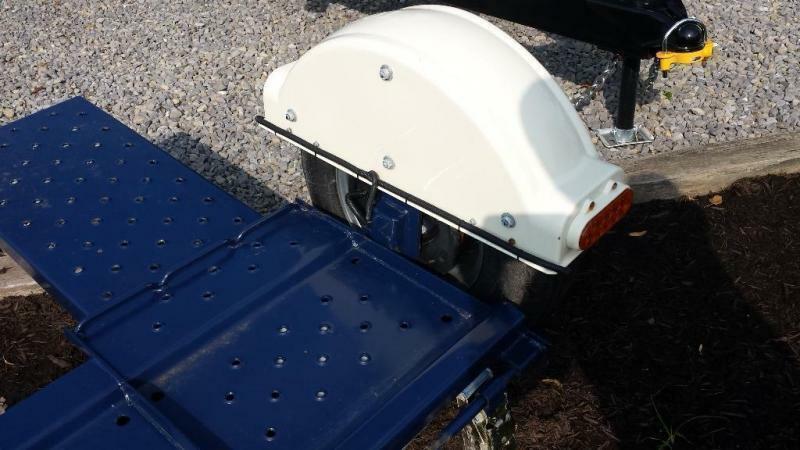 - Our fenders are molded of 1/4" thick polyethylene which eliminates metal fatigue problems common with steel fenders, and they will not scratch or rust. 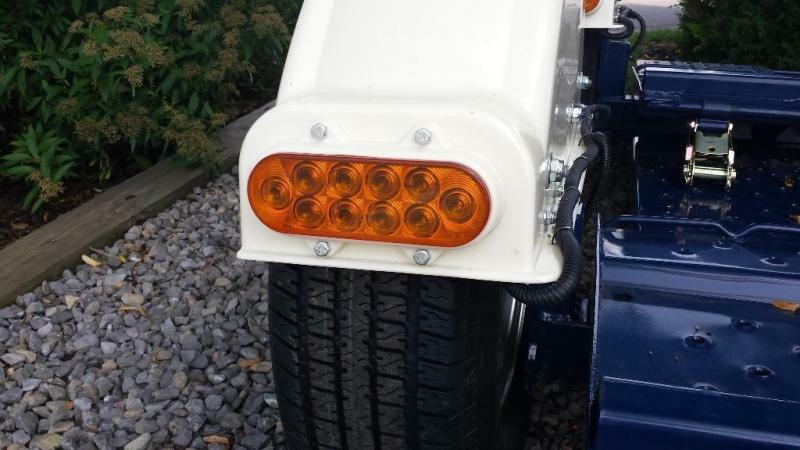 They feature oval waterproof lights that are mounted with an exclusive light retainer system to insure their secure attachment. 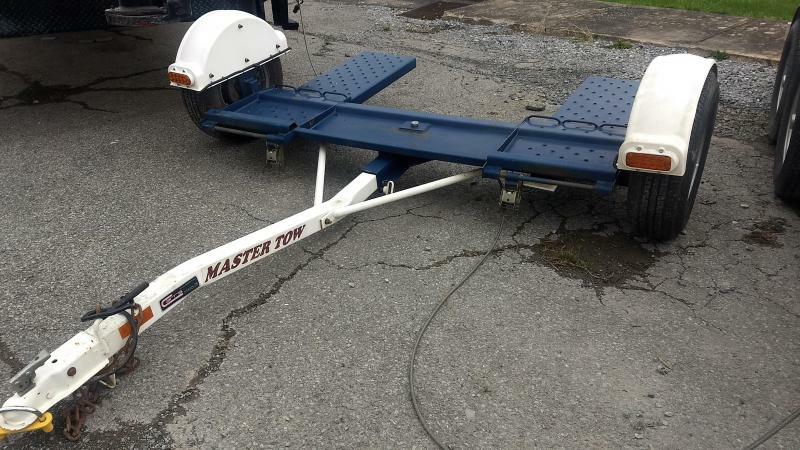 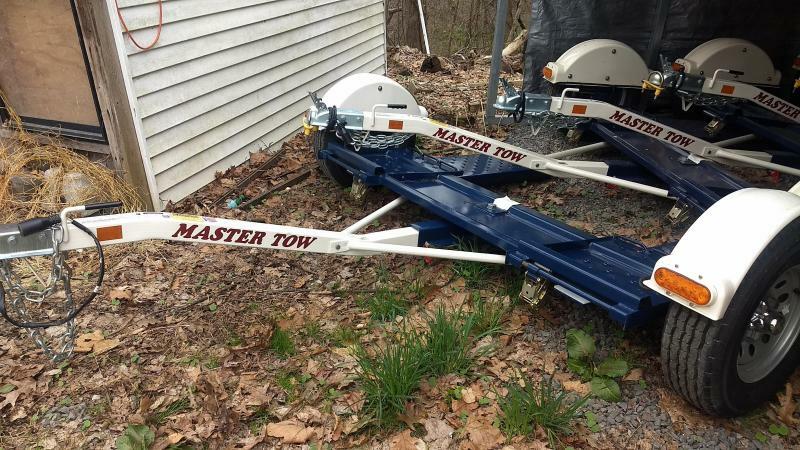 - Both safety chains have a unique s-hook safety closure added to insure their secure attachment to the tow vehicle at all times.